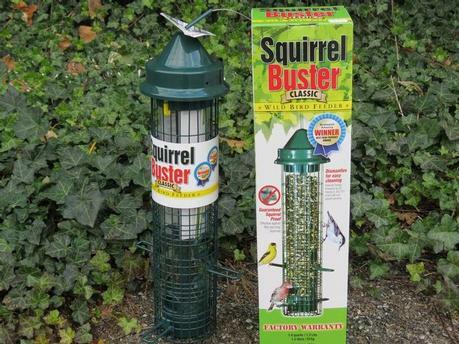 The Squirrel Buster 'family' of feeders are our most popular squirrel proof line ~ Everyone loves them including the birds! Want to know more about the amazing Squirrel Buster Plus? Click here! Along with several models of Squirrel Busters (see the Peanut+ in our peanut feeder section below), we also offer other brands, styles & accessories to deter squirrels! Finches are some of the most popular birds at backyard feeders. Bring these fun birds to your garden with a nyjer seed feeder from our extensive selection! Especially look for & consider a Droll Yankees feeder - excellent quality with an extra-amazing warranty!! Many others also available! Various shapes, sizes, and designs are available in our Tube Feeder & Hopper Feeder selection. These feeders allow you to offer all the most popular seeds and seed mixes to attract the best backyard birds! We are not the only ones that love peanuts...Provide the birds in your backyard a treat throughout the year! We carry a wide selection of styles and sizes of Peanut Feeders for peanut halves including the Squirrel Buster Peanut+ (centre photo). Our selection of solid wood bird feeders is outstanding. These are great for seed mixes or individual seeds such as Black Oil Sunflower or Safflower! We have virtually every size and design available...with the majority made right here in Canada! A platform feeder is any flat, raised surface onto which bird food is spread. The platform should have plenty of drainage holes to prevent water accumulation. A platform with a roof will help keep seeds dry. Trays attract most species of feeder birds. Placed near the ground, they are most likely to attract juncos, doves, and sparrows. Warm weather and Hummingbirds go hand-in-hand! In early May, welcome beautiful Hummingbirds to your garden with a favourite design from our excellent selection. Orioles are one of the most anticipated arrivals of the spring bird feeding season! Bird Feeders for suet are available in various designs for the many shapes of suet that we offer. Suet is an important food to offer birds, especially during the winter and early spring when the birds require the extra energy that the fat provides. Bring nature just a little bit closer with our selection of window bird feeders ~ Fun for the whole family! Add a little whimsey to your garden and attract the birds at the same time with one of our unique bird feeders! Glass, Cement or Heated...We offer them all! We have bird baths to suit every backyard and garden! Some glass baths are priced to include a stand while the heated baths are available in a few styles...some come with a stand, others with a bracket to attach them to a deck rail!